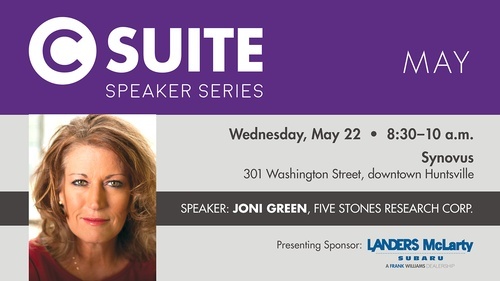 Joni Green, PMP is the founder and owner of Five Stones Research Corporation (5SRC). She is a certified Program Management Professional (PMP) with more than 19 years of leadership and management experience. Her academic training and extensive experience in multi-functional program management, marketing, acquisition and business management support has successfully contributed to DoD systems acquisition and research & development organizations. Green is an accomplished professional with demonstrated experience directing corporate strategies. She has a BS in Business and Marketing. She holds membership in the Greater Huntsville Rotary Club, AAAA, AUSA, SOLE, WID, and PMI. She also serves on the Huntsville/Madison County Chamber Board of Directors. She is married with five children.